Can you put on top of your antenna? 1956 Corvette #41. Special "one off" for Prince Bertil of Sweden. Special blue interior. This picture is reported to be from the GM archives. Pictured is Chuck Jordan in 1955. Is the color SILVER ? Any comments or theory? 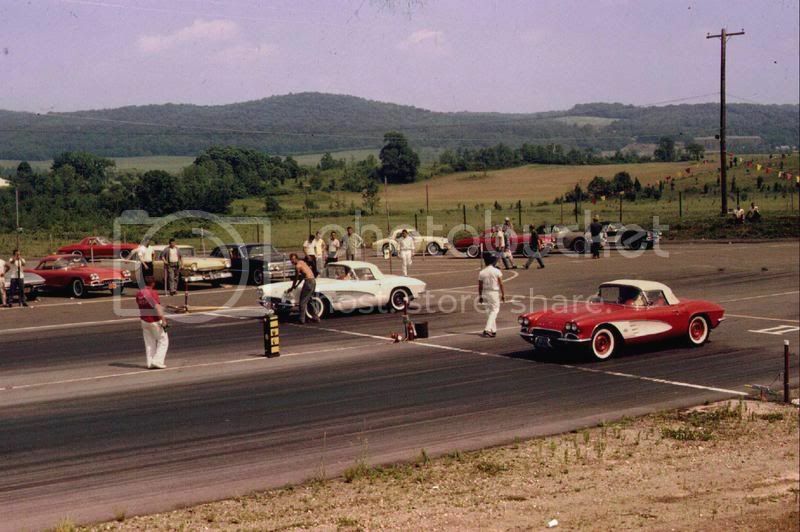 This is Dover Dragstrip in Wingdale, NY circa 1964...I used to live at this track.. I've got some more, just need to dig em out. I knew thare were more early pictures out there. 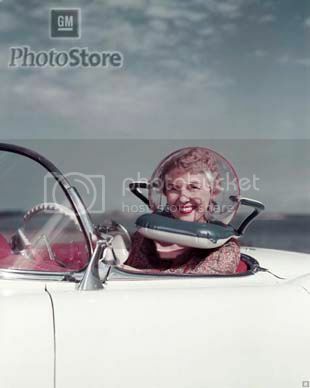 Do you have any info on the FI on your car back in '60? Not sure this lady is on the right planet. 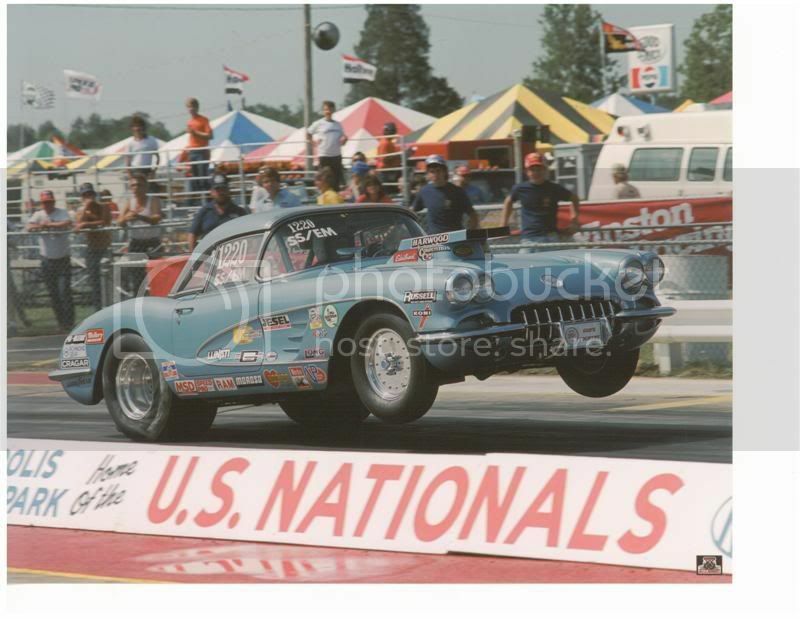 Notice the slicks at the back. Wife's Norsk cousin wanted me to start an import business for Vettes some years back. Due to Norwegian law, he said we would have to damage them to bring down the value and then replace the damaged parts. By the time he was out of college, the market changed and we would have lost money. The wide whites and Americans are a cool early '60s look. I like it. This magnificent one off Corvette was designed by Giovanni Michellotti and built by Ghia Aigle, the Swiss affiliate of the famous Italian coach builder for (GM and) the 1957 Geneva Auto show in Geneva, Switzerland. This one off "Ghia Corvette" was constructed of aluminum and fitted with a black leather interior, color white, and equipped with Borrani wire wheels. Showing 3,800 kilometers on its odometer. The car was recently ( prior to 2002) discovered in Portugal and was purchased from the family of the original owner. The listed asking price in 2002 was $169,000. 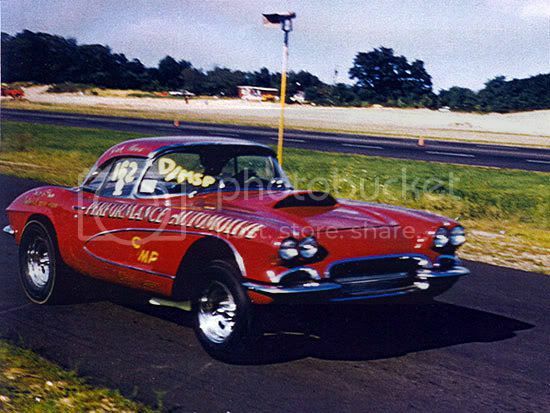 The Corvette appears to have the original 6 cylinder Chevrolet engine with a reported 4 speed transmission. Note the mileage indicated the metric speedometer conversion. Since the original 1954 frame and running gear was produced by GM in the United States and shipped to Switzerland, I considered this as another GM "export" show car used abroad. We move forward from 2002 to 2007. Seven years passed and new information and new photos surfaced in mid 2009. From information obtained from two auction advertisements. It would appear the Corvette was in the United States in 2002. 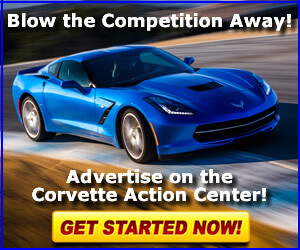 On March 3, 2002, an Internet ad appeared at the site of http/collectercartraderonline.com in which the Corvette was pictured and the asking price was $169,500. The car was offered for sale by Hyman LTD, 325 Paul Ave, St Louis, Mo. 63135. The color was listed as WHITE. 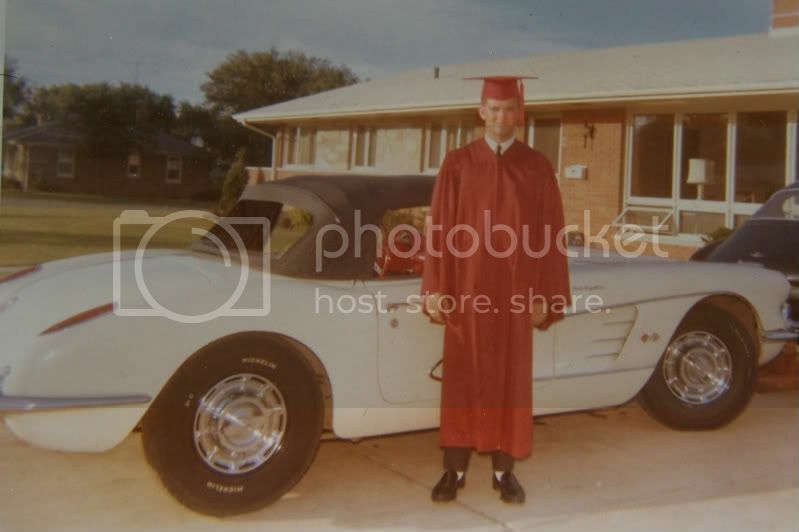 I also have found auction results, on the Internet, that indicate that RM Auctions of Monterey, California sold this car at their auction during the sale of August 16-17, 2002. The sale sheet report indicates the 1954 Corvette Coupe Ghia Aigle sold for $62,701 U S dollars. The 1954 Corvette is now reported to be in the hands of a private collector and is stored away in Canada. The most recent pictures indicate the color has been changed to silver. 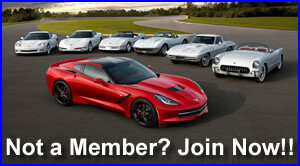 I have pictures of the Corvette both in white (2002) and silver in 2006. 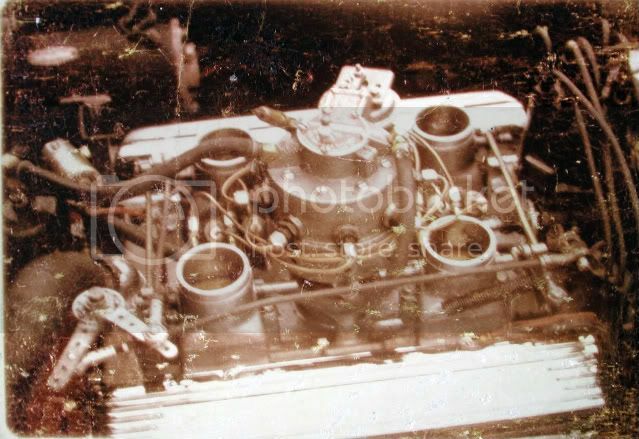 The fuel injection system is my father's design. Here's the final timed, high pressure port system (on my '59). 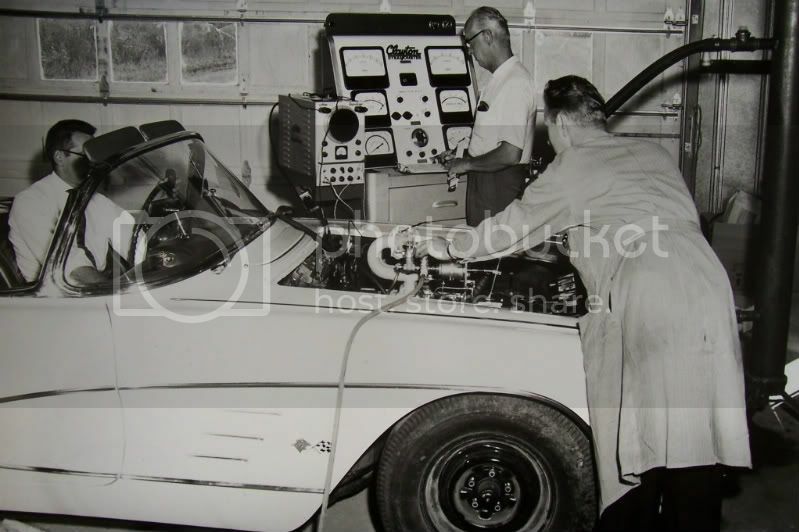 The next iteration was a direct-injection system. It was too expensive to produce, so never made production. He started a business restoring 300SL direct-injection systems.